CARTE DES ENVIRONS DE LA VILLE DE MEXICO. 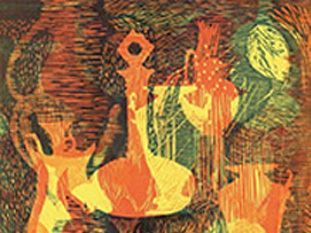 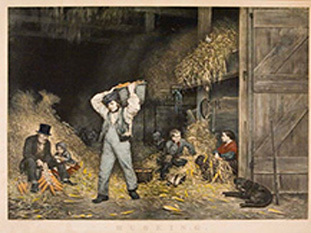 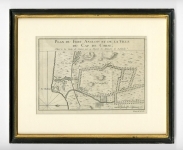 Image 7 7/8 x 6 3/8" (20 x 16.1 cm). 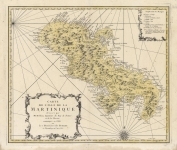 Publisher : Published by Jean Francois de La Harpe, Paris. 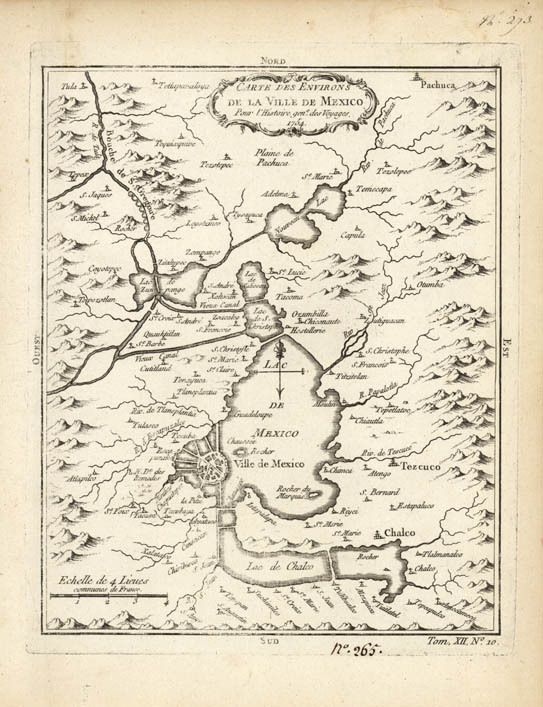 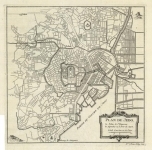 Bellins map of Mexico City and environs. 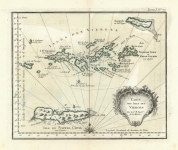 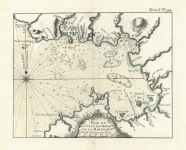 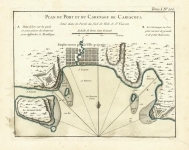 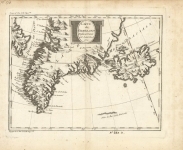 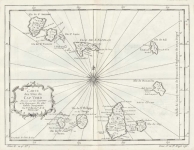 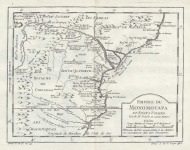 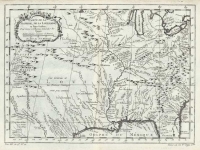 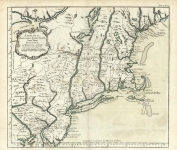 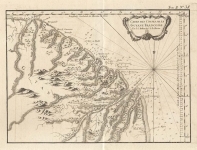 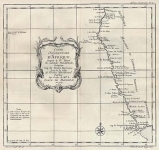 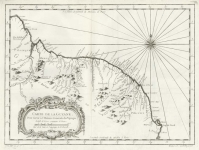 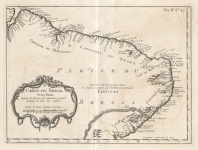 This map appeared in Prevost's "L'Histoire Generale des Voyages".